Umibecestat, also known as CNP-520, is a beta-secretase inhibitor and is a drug candidate for prevention trials in Alzheimer's disease. 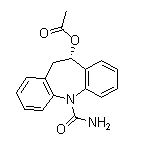 RG7129 is a potent BACE inhibitor with IC50 of 30 nM for BACE1, equally potent against BACE2 (IC50=40 nM). 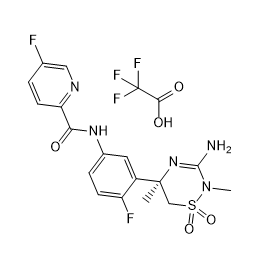 AZD3839 is a potent and selective BACE1 inhibitor with IC50 of 23.6 uM, about 14-fold selectivity over BACE2, also a β-secretase enzyme inhibitor. Voltage-gated sodium channel blocker; significantly blocks excitatory amino acid (glutamate and aspartate) release. 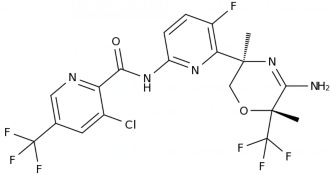 AZD3293 is a potent and selective orally active, brain-permeable BACE1 inhibitor,currently in development as a potential treatment for early Alzheimer’s disease. LY2886721 is a novel potent agent that is used to treat Alzheimer’s Disease in preclinical experiments. MK-8931 is a BACE1 inhibitor. MK-8931 binds significantly to β-secretase. 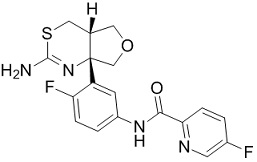 Verubecestat, also known as MK-8931 or SCH 900931, is a potent and selective beta-secretase inhibitor, and BACE1 protein inhibitor or Beta-site APP-cleaving enzyme 1 inhibitor.